Last year, 41 billion liters of beer containing alcohol were produced in the European Union. 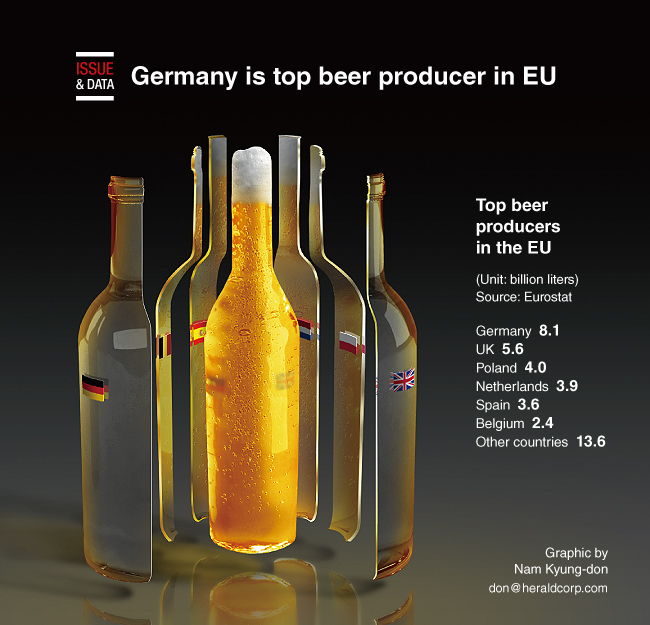 With production of 8.1 billion liters, or 20 percent of the EU's total production, Germany was the top producer in 2017. Germany was followed by the United Kingdom (5.6 billion liters produced, or 14 percent), Poland (4 billion liters, or 10 percent), Spain (3.9 billion liters, or 9 percent), the Netherlands (3.6 billion liters, or 9 percent) and Belgium (2.4 billion liters or 6 percent).